REGISTRATION IS OPEN! Send us an email today about joining jerseycitylax@gmail.com or register online (steps below) or join during the Fall or at one of our Winter 2018 Clinics. Register with Jersey City Lacrosse via a tool we use called Sports Illustrated Play. You must use the website, not the app to register. Full schedule information available on SI Play after registering. Our travel program is open to Girls and Boys grades 3rd-8th, and we have 6 teams. Our boys teams play a full competitive travel schedule in the North Jersey Youth Lacrosse League against teams in Hudson and Bergen county. Our girls play in the Jersey Girls Lacrosse Association league and are expanding. We organize carpools to away games and when available we take Dept. of Recreation vans. This introductory program is open to girls and boys grades K-2nd. The Little Laxers practice on Sunday afternoons and use soft foam balls to develop the following skills: hand-eye coordination, proper grip of stick, cradling, scooping, catching, and throwing. A parent is required to be at the field and we encourage their participation! Each Little Laxer receives (to keep) a practice shirt. Older or more experienced 2nd graders are encourage to join our travel teams and play up. 100% of our registration fee goes to pay for equipment, supplies, practice and game uniforms, referees and tournament fees. Our organization is a non-profit and is made up entirely of unpaid volunteers. REGISTRATION FOR EACH PLAYER MUST BE COMPLETED ONLINE via our tool with Sports Illustrated Play to ensure we have complete information for each player and their guardians. Credit card, check and money order are accepted forms of payment. Please register each adult who will need to be contacted for organizational events, practice changes, games times etc. YOU MUST COMPLETE CHECKOUT TO COMPLETE REGISTRATION. After registering please take the time to enable text message alerts and also download the Sports Illustrated Play App for iOS or Android. To enable text messaging, go to the Home screen on Sports Illustrated Play Website and look for "Get Text Messages" and "Enable Text Messaging. A current US Lacrosse Membership (Insurance coverage and other benefits) is required for each player and their membership number is required when registering for our program. In instances where a child may be injured playing lacrosse, US Lacrosse medical coverage makes a huge difference. Please obtain or renew your membership BEFORE registering with us - is it must be valid through June 15, 2019. Learn more about how US Lacrosse supports our players and organization. Note that each player's US Lacrosse membership must be renewed each year and your child's name and birthday must match in our system when registering. US Lacrosse partners with RPS Bollinger to provide Excess Accident Medical and General Liability Insurance to our players. Learn more about how US Lacrosse supports our players and organization. Our Boys travels teams will again be competing in the North Jersey Youth Lacrosse League and the girls will compete in the Jersey Girls Lacrosse Association league. Visit our Equipment page for information about required equipment for different teams and borrowing equipment. Equipment Loans are FREE but require a deposit- the deposit will be collected when equipment is distributed and returned when equipment is returned (end of season) and in the form it was received. Unfortunately the deposit has become a necessary step - as equipment lent out is not returned. We do not loan out certain pieces of required equipment including, cleats, mouth-guards, cups and athletic attire. No player will ever be turned away for financial reasons, view our Scholarships page for more information. 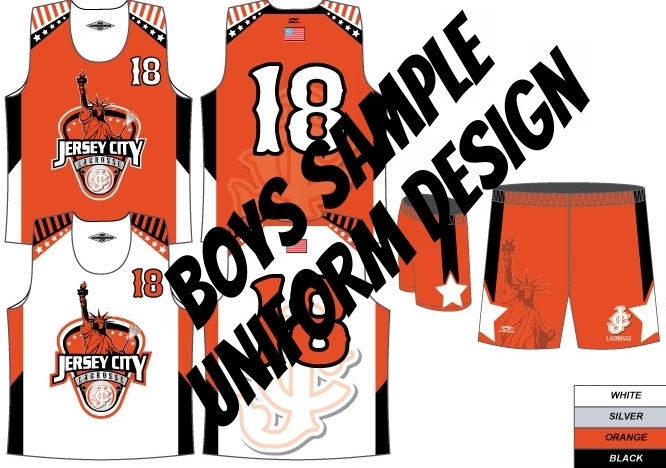 By registering with Jersey City Lacrosse, players and parents agree to abide by our Code of Conduct.